Betty Jane (Palma) Shuck, age 82, of Wyoming, was peacefully called home on Monday, April 30, 2018. She was preceded in death by her husband, Leland; her sisters, Angie, Geraldine, Arlene; her brother, Gerritt; sisters-in-law, Ruby Shuck and Ruth Shuck. 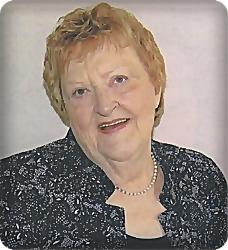 She will be lovingly remembered by her children, Leland (Patty) Shuck, Timothy (Tammy) Shuck, Juanita "Bunny" (Rod) Van Oeveren; nine grandchildren; many great grandchildren; sisters, Sharon (Russ) VandenBerg, Carolynne Estelle; brothers-in-law, Ivan Shuck, Darrell Shuck; several nieces and nephews. There will be no visitation or service. Interment will be in Ft. Custer National Cemetery.